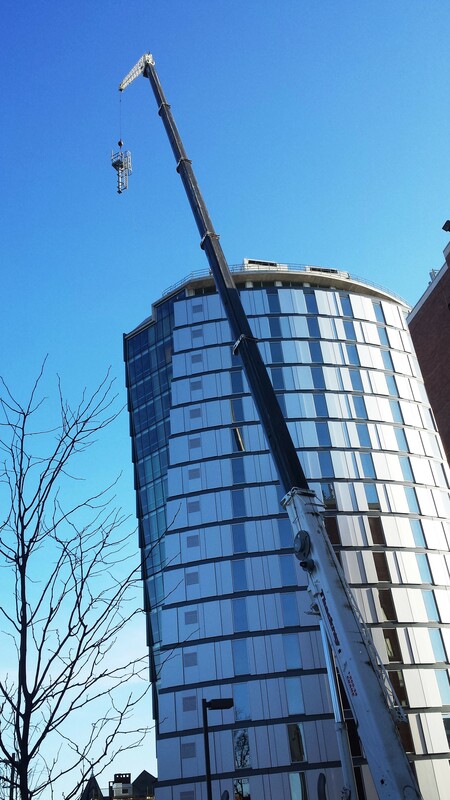 A 19-and-a-half-foot antenna just got the best view on Drexel University’s campus. Mounted atop the 205-foot Millennium Hall dormitory, the mast designed by a group of electrical engineers from Drexel, will give researchers a perfect vantage point to test out theories of wireless networking that could do much more than boost your cellular reception. The antenna’s installation in late March has turned Drexel into one of nine National Science Foundation hotspots for testing a high-powered wireless broadband system called WiMAX. Among other uses, WiMAX was developed to deliver what cable and communications providers call the “last mile” connection. This means that the WiMAX signal is sufficiently strong over a relatively short distance that it could replace the hard wiring for cable, telephone or internet to the consumer. For researchers like Moshe Kam, PhD, a professor in the College of Engineering who has shepherded the project for the last three years, getting the antenna installed opens a wide spectrum of research and implementation opportunities. The most important opportunity is to test new ideas about wireless communications, and validate new variations of the next-generation wireless technology in an actual urban environment with real users. 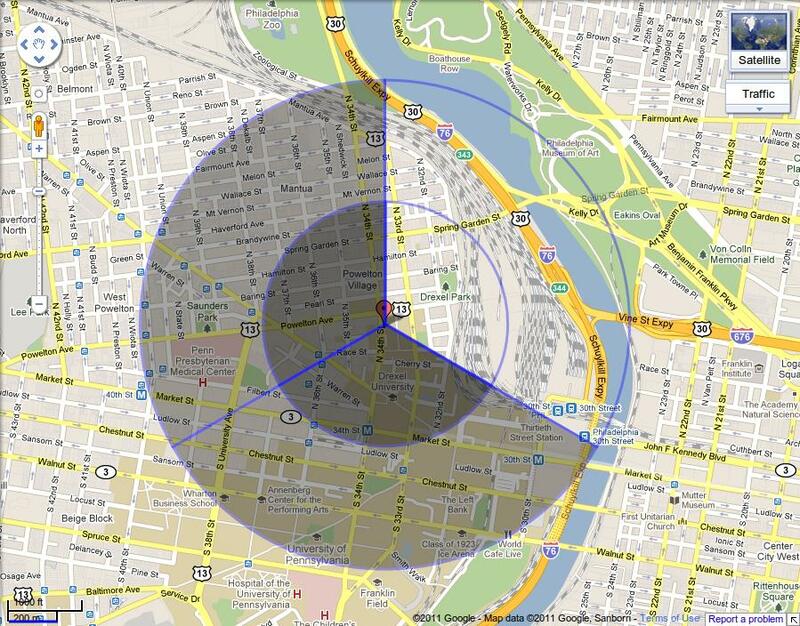 Coverage map that will be tested as part of Drexel’s wireless research. The new installation also makes Drexel an important component of an NSF program called Global Environment for Network Innovations. This is a high-speed, high-capacity computing network started in the mid-90s – designed to meet the data transfer demands of research institutions around the country. Drexel joins a group of eight other research centers,–including Columbia, UCLA, Rutgers and Temple– that are expanding the wireless capabilities of GENI by implementing this WiMAX technology. The 19.5-foot antenna is affixed to the top of the 205-foot Millennium Hall dormitory. As part of the GENI program, Drexel will also be collaborating with local partners Temple and Rutgers to explore the capabilities of a smart WiMAX network that could adjust to accommodate broadband demand using equipment at all three sites.